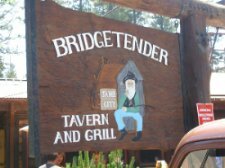 After skiing all day nothing beats a big, fat juicy burger at the Bridge Tender in Tahoe City. It’s a North Lake Tahoe institution for those seeking a fix of rare, medium and well-done mountain culture. This is the place for a mouthwatering charbroiled burger. Period. Burger choices range from bacon cheddar to blue cheese and everything in between. For the full experience, get the seasoned cross cut fries that come with Ranch dressing. Not straight fries (although I’m sure they’re delicious.) And, with a full bar and several beers on tap, your meal is complete. But, be warned. Portions are huge. Ambiance drips here too. Although the original BT located right across the highway was torn down and moved to its present spot, the ambiance is intact. Wood interior and exterior and the outside dining area. Even the bathroom ambiance was transferred…somehow. 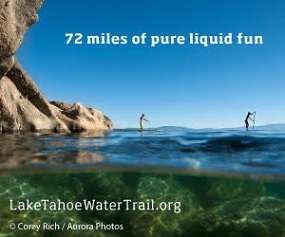 Best of all – you will observe true Tahoe natives in their element. Especially after skiing. Don’t miss this Tahoe classic. Besides, all that protein is great for rebuilding muscle and the grease is great for the knees.